During October 2015, Antrix Corporation Limited (Antrix), the commercial arm of Indian Space Research Organisation (ISRO), has signed Launch Services Agreement with M/s. 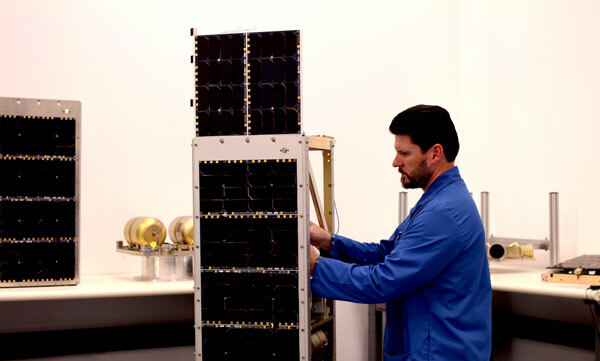 PlanetIQ, an American Company, for launching two of their satellites on-board ISRO’s Polar Satellite Launch Vehicle (PSLV). These satellites are meant for studying certain weather parameters. This information was provided by the Union Minister of State (Independent Charge) Development of North-Eastern Region (DoNER), MoS PMO, Personnel, Public Grievances & Pensions, Atomic Energy and Space, Dr Jitendra Singh in a reply to an unstarred question in Rajya Sabha today. After succesful Test & Evaluation SCATSAT-1 payload was flagged off By Shri. Tapan Misra on June 17, 2016 to ISAC for further integration with Spacecraft. Are Venta-1 and Max Valier going along with these sats? Any how, next PSLV is not possible before Feb'17 as per the ISRO's launch schedule. If so, ISRO has to accommodate all these on C35 & C36. I believe NLS 19 is not a satellite, but refers to Nanosatellite Launch Service, which includes a number of small satellites. Correct. It might be a single satellite or several satellites. Possibly it is CanX-7. The Polar Satellite Launch Vehicle (PSLV-C35) mission is scheduled between September and November. It will launch ResourceSat 2A satellite into a low-Earth orbit and ScatSat 1 satellite into higher geostationary orbit besides two satellites developed by students and four international satellites. I guess the reference to GEO for Scatsat is a typo. It should be SSO as the slide posted above indicates.